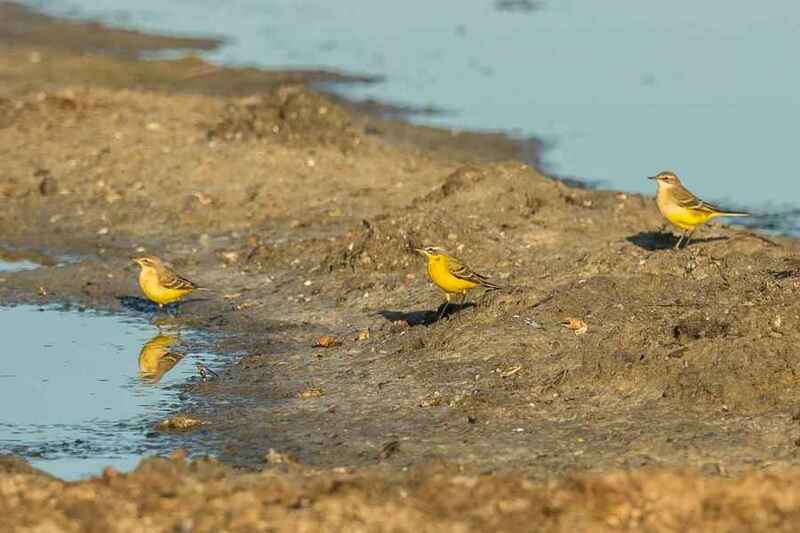 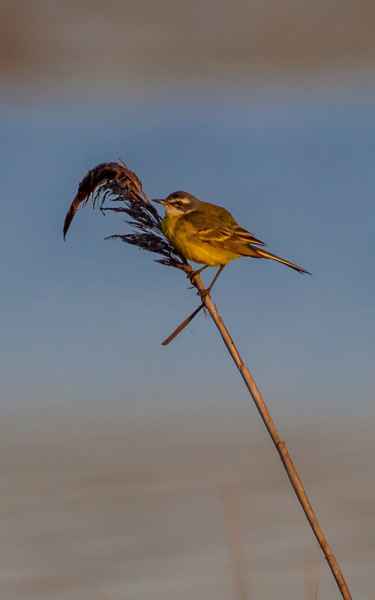 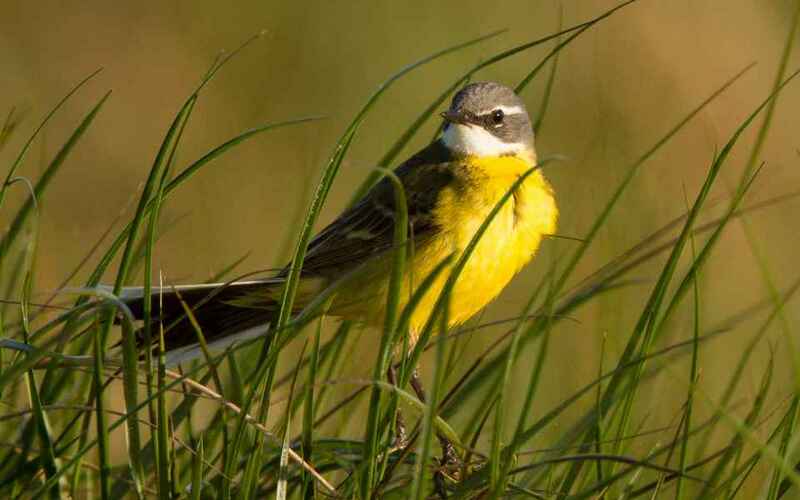 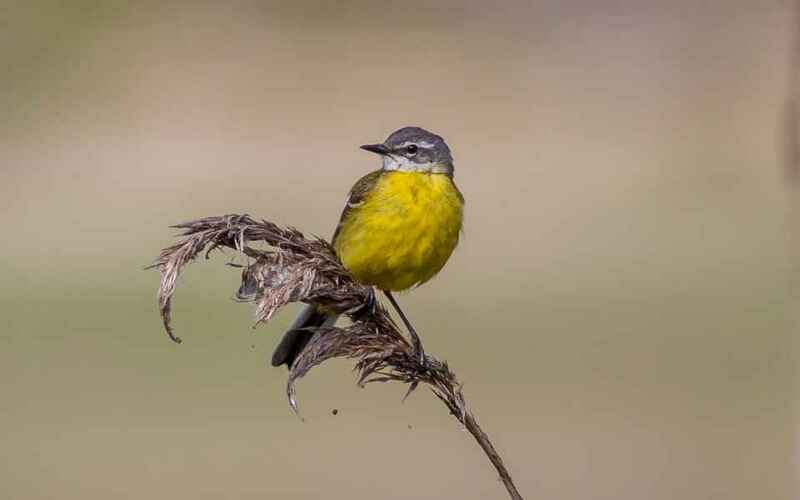 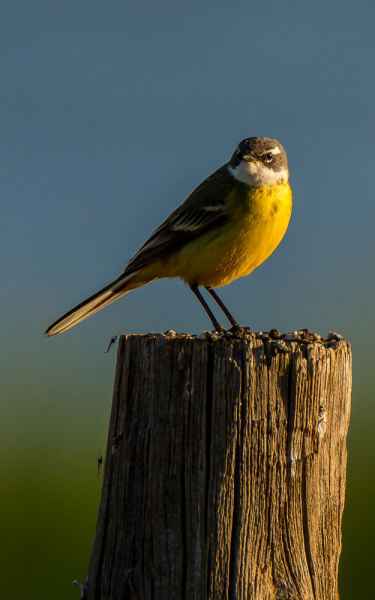 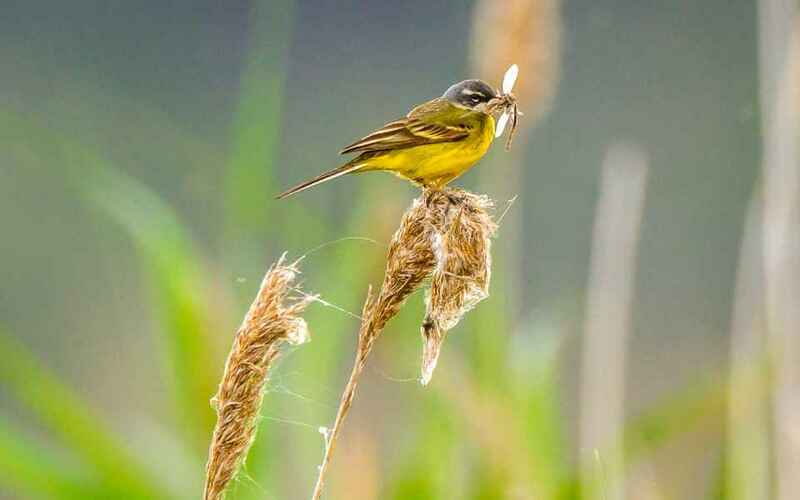 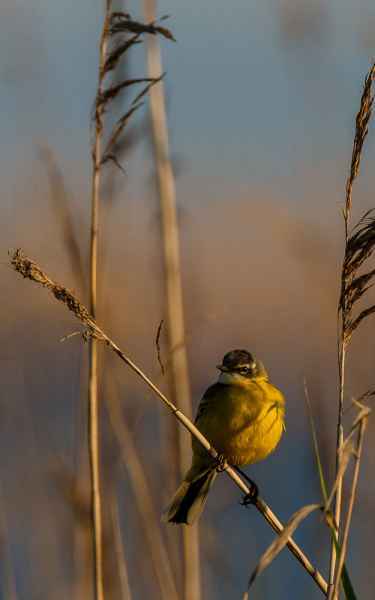 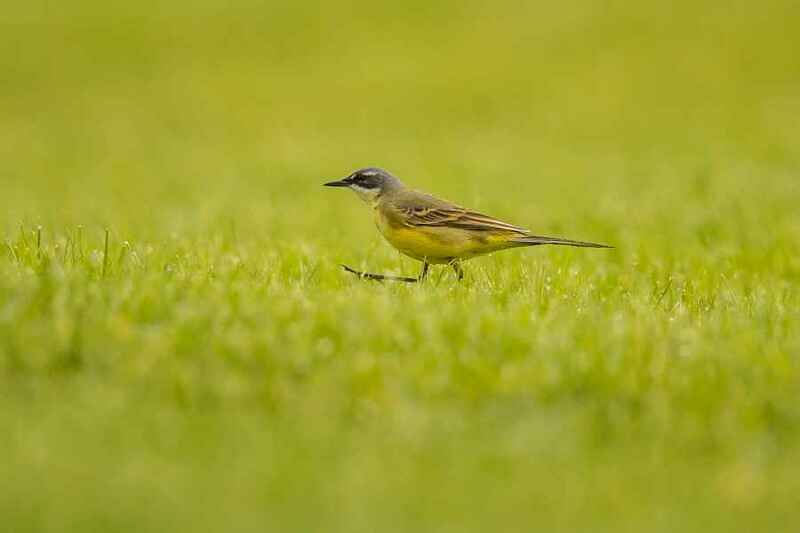 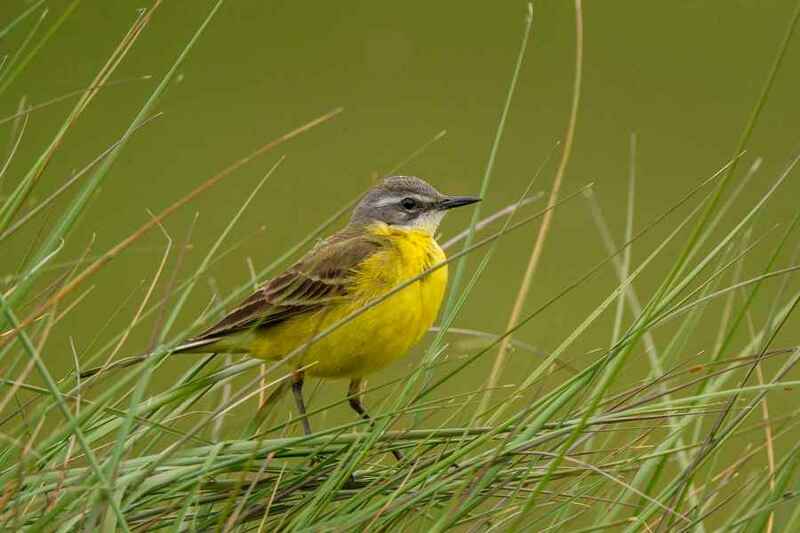 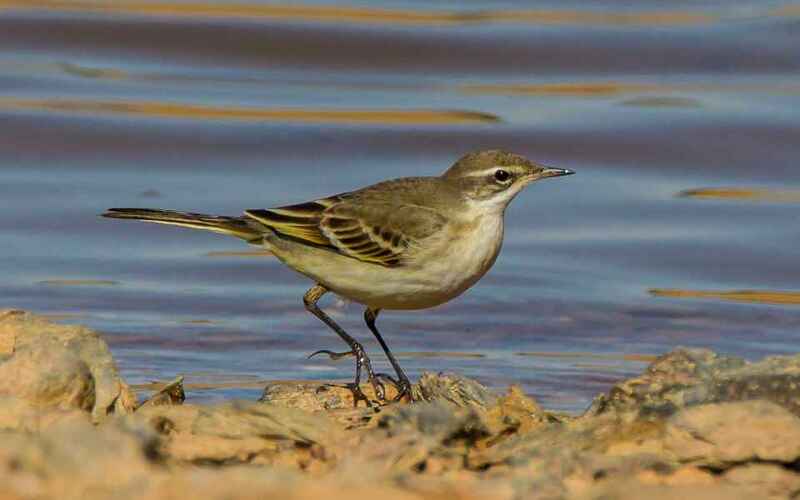 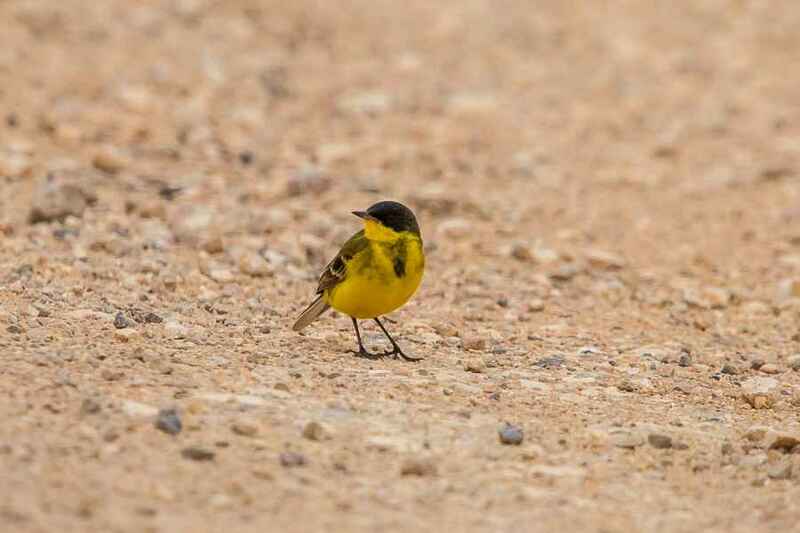 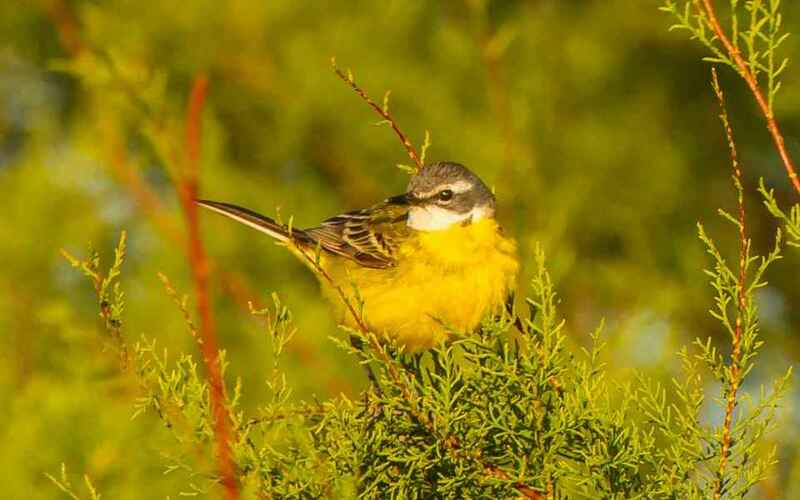 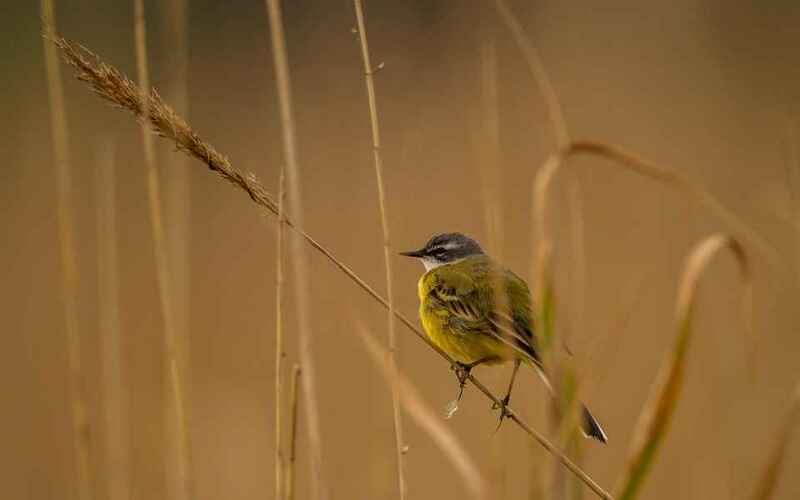 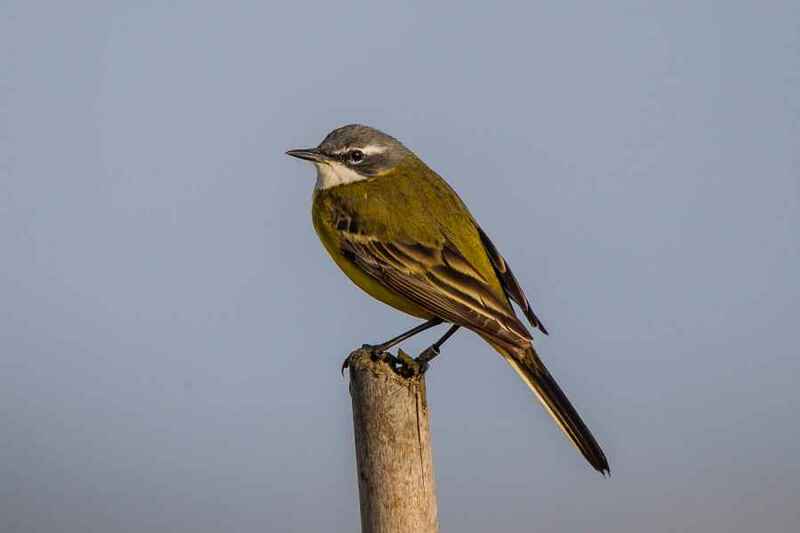 Yellow Wagtails are a summer visitor usually breeding near the coast in marshy waterlogged fields in Portugal. 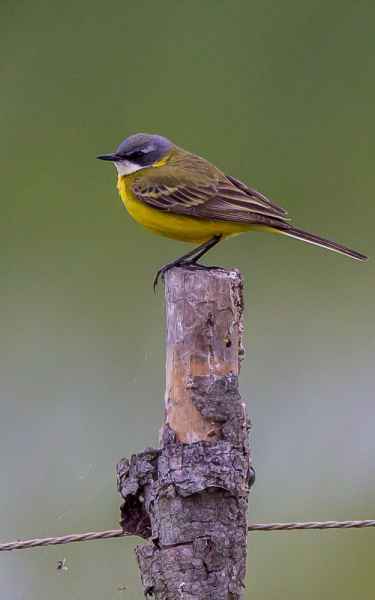 The male of the Iberian race has a grey head, white supercilia, dark grey cheek and yellow throat and belly with black legs. 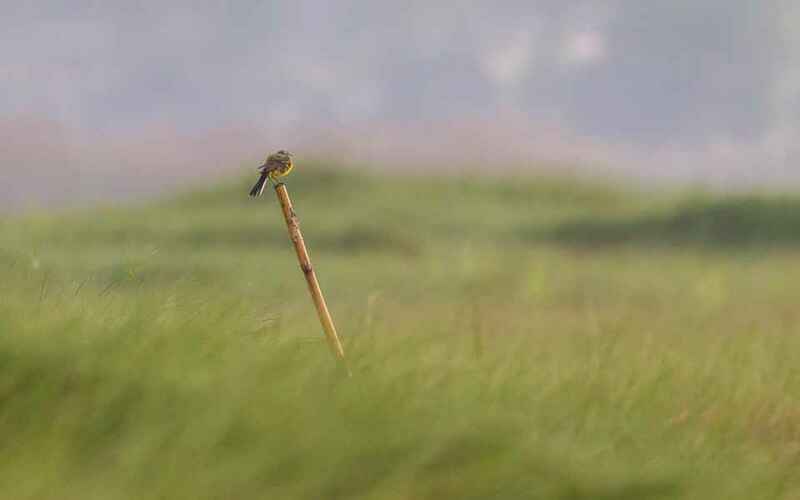 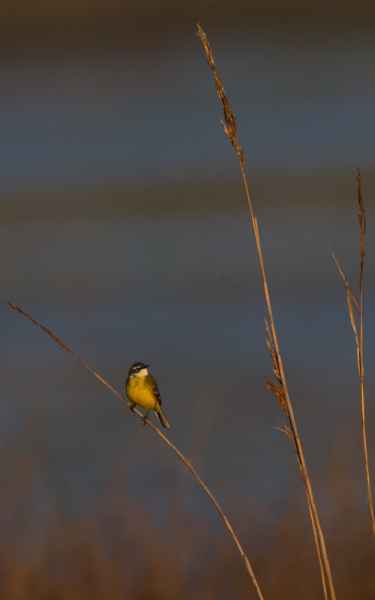 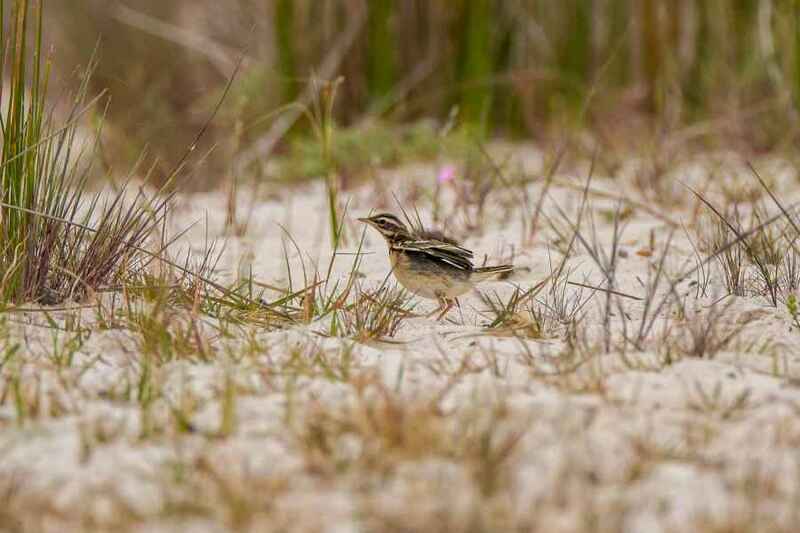 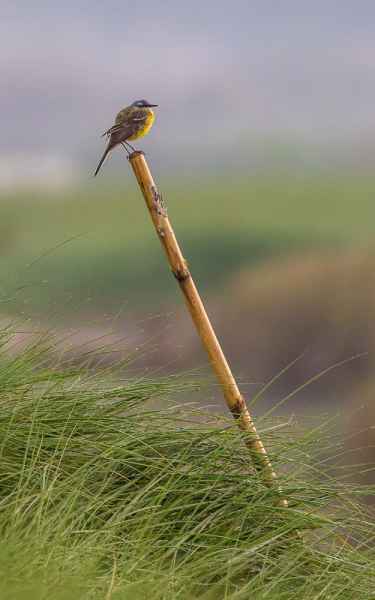 It likes to perch in the open on an exposed post or twig as well as stalking through short grass in search of insects.